There was a hot debate in Parliament yesterday when the National Competitiveness Commission Bill was tabled for a second reading. In his contribution, Hon Oliver Mandipaka began by thanking the Minister of Industry and Commerce for bringing up the bill for debate, saying it had come at the opportune time when the nation was seeking ways to promote the ease of doing business in the country. He said the bill needed to be supported so that it becomes law as early as possible. He said Hon Mike Bimha must be applauded for remaining focused and creating policies that ensure the growth of industry as seen by wonders brought about by the SI 64. “What is more interesting about NCC is that it will be composed of government, private sector, economists, and lawyers. Once this board is formed, it is our thinking that government is going to be advised accordingly, and research is going to be undertaken to grow the economy,” he told the House. Hon Goodluck Kwaramba agreed that the NCC will enhance the country’s global competitiveness, as well as monitoring the cost drivers. However, Hon Eddie Cross differed; he questioned his fellow house mates’ conclusion that the bill is good and should be supported, after indications revealed that the bill was rejected by the people. He queried why the Chairperson of the committee went on to recommend its adoption by the House while his report had nothing to substantiate his position. “I personally don’t support the creation of this board. I think we should wind it up and stop spending money on a board that doesn’t carry out any real responsibilities. “The ministry itself has all the staff and expertise that are required to perform the functions of the envisaged board. Creating it as a parallel structure to the ministry is a waste of time,” he said. He said there are cross cutting issues that need attention for competitiveness be achieved which must be done not by a board but all ministerial departments. He also raised the issues of heavy taxes, greed and corruption as stumbling blocks. He said the President’s Office was a better higher authority to handle this important and complicated issue and not a mere board whose recommendations may be ignored. “If anybody in this country is going to be able to give an instruction to an individual line Ministry and make sure it happens, believe me, it is the President’s Office and it is not going to be a board,” he told the House. Hon Nicola Watson agreed with Hon Cross saying all the discussions, workshops had yielded nothing and that there has been multiple commissions that are underfunded and under functioning, and that creating another one is not going to work. He also raised the issue of corruption, and pointed out that even the Anti-Corruption Commission has not justified its existence so far. 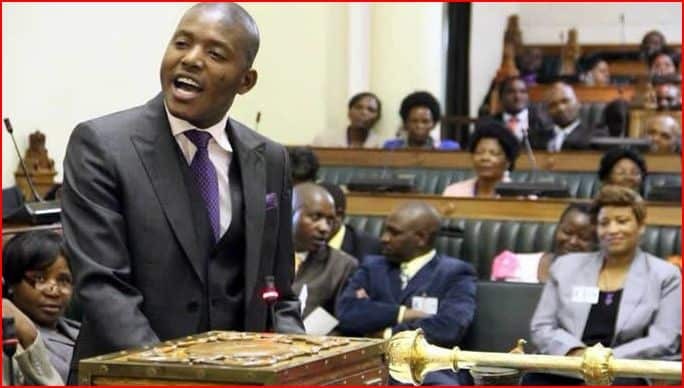 Of note has been the element that debates were centred on party lines, many ZANU PF MPs were in favour of the bill, and wanted it to sail through as fast as it can, while most MPs from opposition parties were against it.